Painting a front door for a big impact and the history and shade information on the colors Charleston Green and Haint Blue. Deep in the Southern United States, a comfortable, beautiful porch or piazza can be the most prized "room" of the home. There's a funny saying floating around that proudly states, "we don't hide crazy in the south. We parade it around on the front porch and give it a sweet tea." That's not always far from the truth but a great porch in the South can be so much more than that. It's a place where you can make endless memories with your friends, family, children and neighbors. When looking for inspiration for my porch makeover project, I had to look no further than the "South of Broad" area of Charleston, SC. "South of Broad" is a historical neighborhood area close to downtown Charleston that is full of beautiful homes where even the color selection is steeped in history. If you visit the Charleston area, I strongly encourage that you catch a carriage tour through the neighborhood. 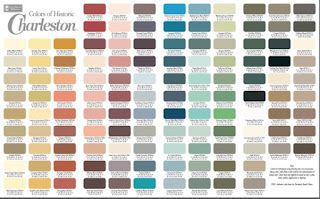 I researched many of the historical colors used in the area. 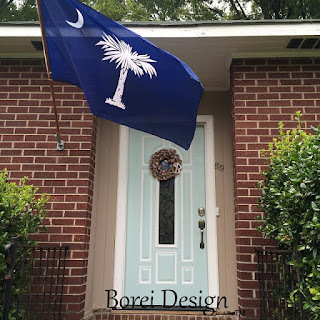 Here is the history behind two of my favorite colors from the historical city of Charleston. 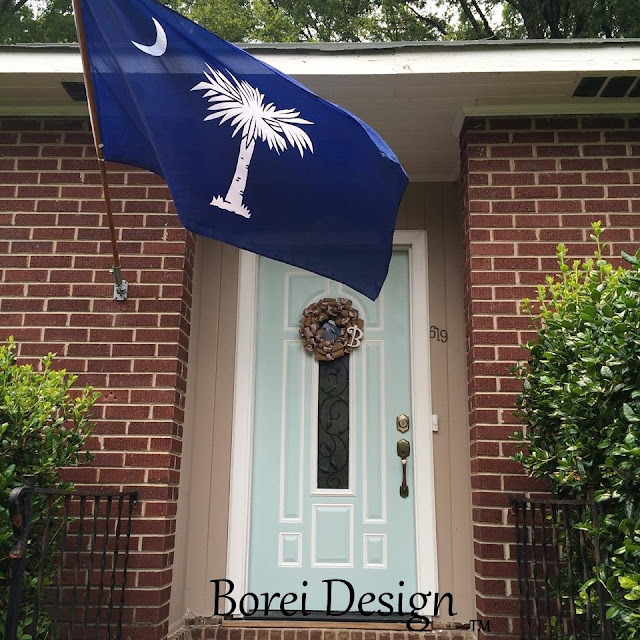 Haint or Haunt Blue: The tradition of this color originates from the fascinating Gullah Geechee culture. It was believed painting porch ceiling, doors, shutters, window frames, walls and even entire homes in this color would keep the "haints" or "ghosts" away. It has also been said that the color helps to battle bugs, (which is always a bonus in the south) but the main focus was keeping all the "haints"away. 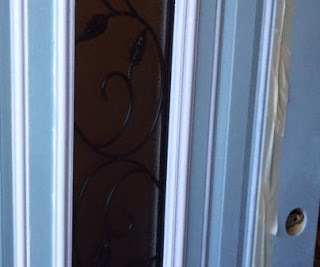 I have heard two different stories as to why the blue color was supposed to stop "haints" from entering your home. While in Charleston, a tour guide once told me it was once believed that when "haints" tried to pass over your porch (to enter your home) that the blue ceiling would trick them into thinking it was the daytime sky and they would leave. Another theory is that "haints" can't cross over water and they would mistake the blue color as a water barrier. I have a tendency to believe the latter explanation. I grew up in South Carolina and when I was a child I heard many stories about how "ghosts" aren't allowed to cross over water and that if you ever found yourself chased by one, to run to the middle of a bridge that crosses over a body of water to safety. Charleston Green: This color is also referred to as "Shutter Green." After the American Civil War, the federal government sent loads of black paint to Charleston to aid in reconstruction. The residents of Charleston needed the paint but "government issued black" wasn't their style. It was said that the black paint in its original form was not to be displayed anywhere in the city.To solve the problem, they mixed green dyes into the paint and a color worthy of "The Holy City" was born. Because both "Charleston Green" and "Haint Blue" was originally created by using pigments in various amounts derived from natural resources, it's hard to pinpoint the exact, historically accurate shade. While the colors were always close from home to home, the exact hue could not be formulated on a consistent basis like today's paints. 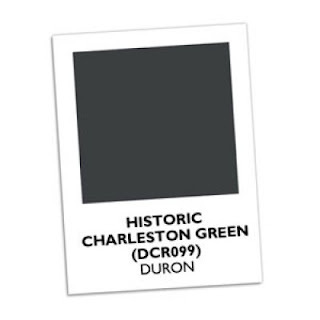 After a lot of research I discovered that Sherwin Williams/Duron created a whole line of paints featuring an accurate portrayal of the coveted, historical colors of Charleston. I contacted their offices in South Carolina to see if they would like to be a part of this project and they said, YES! I was very excited. Here are some of the pictures from the collection. 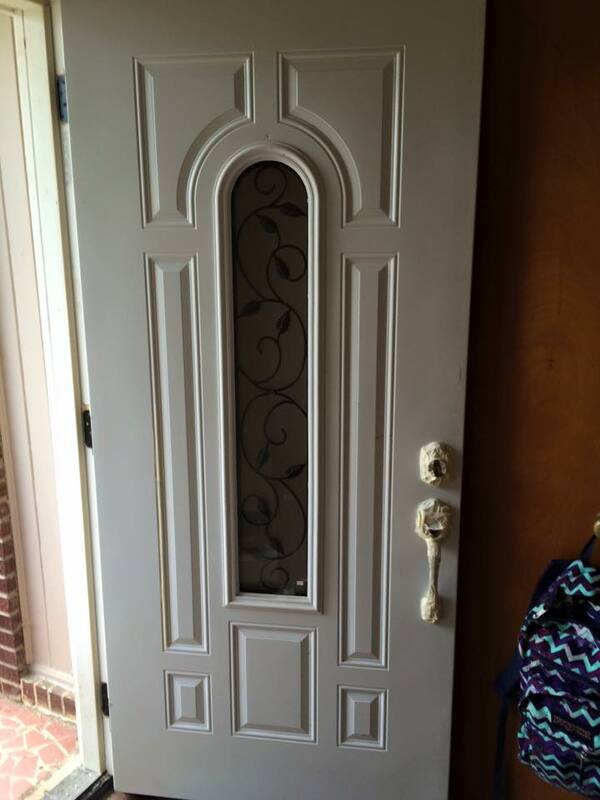 When my husband installed a new front door at our home, I decided "Haint Blue" was the way to go. First I taped off the interior trim on the door. I then applied a few coats of exterior "Haint (Piazza) Blue" (Sherwin Williams, #DCR075) paint to the body. 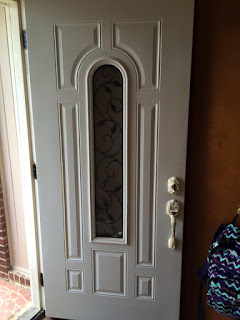 Once dried, I removed the tape from the trim and reapplied it to the outside and painted the trim white. Once the trim work was dry, I used a small (artist type) paint brush to go over any spots where I messed up. It's a lot of taping and painting but it was WELL worth the effort. 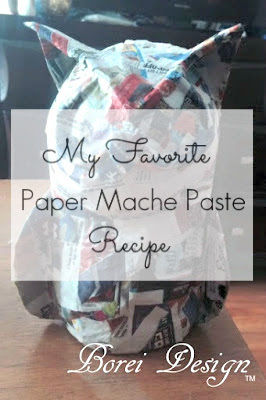 It turned out so well that even my EX HUSBAND gave a compliment on it.....now THAT says a lot! Note: I originally tried taping off the locks and handle and painting the door. I ended up removing the hardware completely to get a smooth painting of the area and then reinstalled it after the paint was dry. 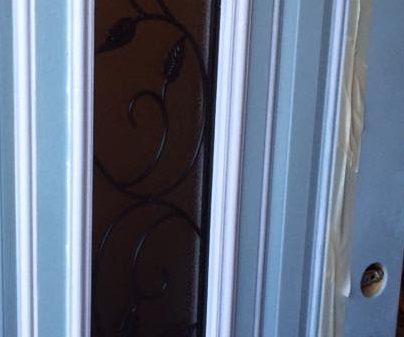 I would suggest you do the same if you are painting a door where the locks have already been installed. It's much easier! I couldn't be happier with the color and results! 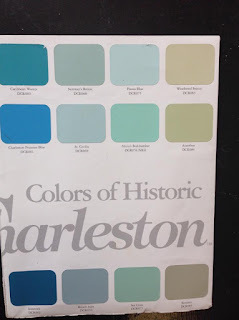 In this post I discussed the history behind the colors "Charleston Green" and "Haint Blue." 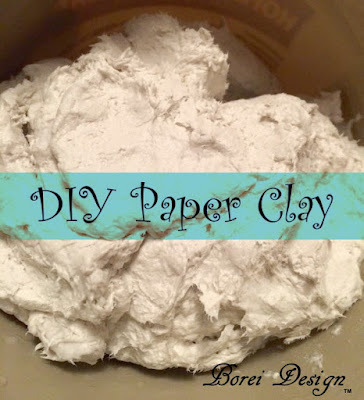 I also showed you how I decided to use the "Haint Blue' color for my home. In my next post I will show you how I'm transformed an old "yard sale" wicker sofa with "Charleston Green" paint and DIY throw pillows. Fabulous! We painted our front porch ceiling Haint blue around 3 years ago or so with a SW Charleston color. It is awesome and I love that we are the only ones in the neighborhood with it. Make me feel like a true Southerner, that I am NOT LOL!